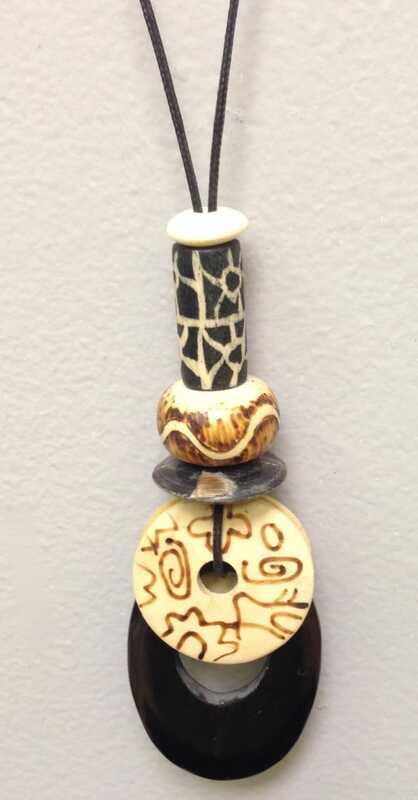 This Philippine Pendant and Indonesia Horn has assorted, etched and painted Natural Wood beads from the Philippines. This pendant is strung on black linen cord. This necklace will adjust to any length.